Selling a home is an exciting一and stressful一process. If you are trying to sell your Orlando home in today’s market, most homeowners will start by getting a home appraisal. Fortunately, going online is a great place to start for those seeking counsel concerning their real estate. Whether you are looking to buy or sell a home in Central Florida, a wealth of information is available to you via these home appraisal websites. 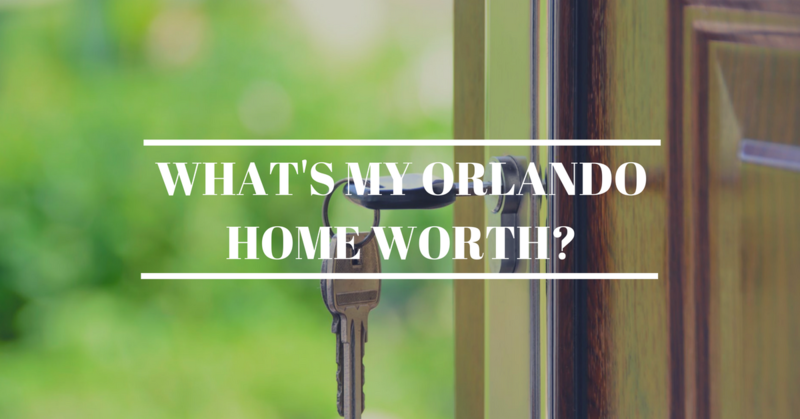 Not only are these resources helpful in a pinch, they’ll track your home’s value so you can stay up to date on the market fluctuations in and around the Orlando area. No proper list could start without mention of Zillow, arguably the titan of real estate estimation services. The reason that Zillow works so well is its easy-to-use layout coupled with an expansive amount of cultivated information. After receiving your Zestimate (the free estimate from Zillow’s website), take a moment to browse properties in the Central Florida area. You can compare your property value to those in the surrounding neighborhood or pick out your new dream house with their clean and simple interface. Users of Zillow will be pleasantly surprised when they stop by Trulia, as the layout is very similar to the above site with a couple of added perks. Like Zillow, you can enter your address into Trulia, but instead of a Zestimate, the site will offer an average listing price for similar homes in your area. This service also offers a tab that details market trends, crime reports, and available schools. It’s a great resource for already homeowners or those looking to purchase a home sometime soon. Redfin stands out amongst the other estimating services because of its use of the Multiple Listing Service (MLS) to calculate a home’s current market value, which gives a more accurate estimate. The site is straightforward and easy to use, plus they have agents on-hand to assist anyone who would like to buy or sell a home through their website. Though you’re probably better off with a group that specializes in Central Florida properties, Redfin certainly offers a service that’s beneficial to anyone who’s curious about the value of their home. The name of this site may indicate that it is intended for realtors, but actually the opposite is true: Realtor.com is a great resource for evaluating your home, receiving an estimate, and discovering local schools. Just enter in your address and you’ll find a ton of information on your Orlando home. There’s also a feature that shows you the median listing price of the neighborhood, which can be a huge help when predicting the price that your home could sell for. Our team was very surprised to learn that Chase Bank has its own home valuation service. Though it may not sport the bells and whistles of other popular estimate sites, Chase Mortgage Services offers a price range that they feel your home falls into, as well as information on neighboring homes. This site is free, easy to use, and best of all, requires no personal information to get started. It’s just another useful resource to have on-hand when you’re looking to get an estimate on your Florida home. There have been claims of slow updates to the database, so keep in mind that anything listed on Chase’s site should be taken with a grain of salt. Real estate firm RE/MAX has also entered the home valuation game with a service offered from its website. This is likely a tactic to influence you to use their agents when you sell your home, but the valuation tool is easy to use and free. Additionally, it’s another option that does not require any personal information or email to get started and provides details on schools in the area, interesting graphics and realistic mapping. Propertyshark is a limited resource, and you do need to create an account to access their full report, but from just a preliminary search you are able to see the specs, property taxes, and assessment history of your Central Florida home. Though HomeGain’s primary function is to serve as a home shopping tool, they do have a valuator that allows you to see what your home is worth and how the value has changed over the years. The downside to this site is that it requires you to enter in an email to view the results, which will undoubtedly lead to unwanted correspondence in the future. This site began as a place for homeowners interested in selling their own home in a tricky market without the help (and commission costs) of a real estate agent. It has evolved over time into a worthwhile and straightforward resource that even offers its own Price Scouting tool. It does require you to register with them to use this function, but once you’ve signed up, you’ll have access to an estimated market value of your Orlando home based on comparable properties in the area that have recently told, plus characteristics of the the local real estate. Even if selling your home isn’t yet on your radar, it can be very helpful to watch the market and familiarize yourself with the value of your Florida property. And there’s never been a better time, as the above websites offer you the chance to keep up with the housing market in your area without paying anything out of pocket. It’s important to remember that while this information is based off of reliable resources, estimates are just that一they do not reflect an exact value. To get a finite number, meet with a couple of our experienced real estate agents or investors. They’ll be able to decode the local market and get you an exact value for your Orlando home.